Which species are considered ‘ants’? Most people don’t know that there are over 10,000 different species of ants in the world. This is because only about 25 of these species commonly infest homes in the United States, with even fewer infesting California homes. However, it might not feel like they are so uncommon if you begin to see them hanging around your house. It is important that you know that ants will eat nearly any kind of food, but are particularly attracted to sweets. Additionally, ants, depending on their species can live from several weeks to several years. They are also social insects which means they live in large groups or colonies. Depending on the species, one colony could be millions of ants. 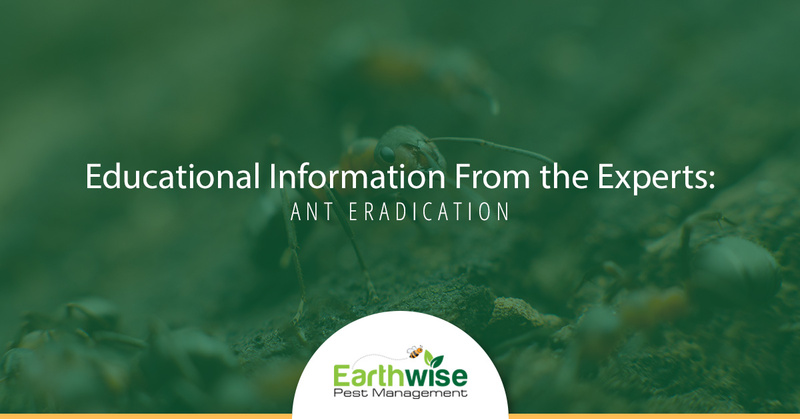 This means that an ant infestation can get out of control very quickly if you have one in your home. So let’s discuss how you can prevent that. There are three types of ants that are most common to households in California. These are carpenter ants, fire ants, and house ants. House ants, while they may be very annoying to have in your home are completely harmless. Carpenter ants, on the other hand, can cause severe damage to the structural integrity of your home as they live in the wood that makes up your house’s foundation. Fire ants are also not so harmless as they are aggressive and known to sting anything or anyone that gets in their way. While one or two stings will be irritating, multiple stings can cause a serious allergic reaction. What type of environment do ants like? Ants will live in a number of different environments from underground to inside trees to inside walls of homes or buildings. When inside of a home, ants are able to nest in a number of places such as behind baseboards, in moldings, under countertops, and more. However, the true reason ants will live in different environments has to do with the food that is available to them where they reside. Ants also change their diet preferences depending on the season. In the spring, ants are preparing to mate and lay their eggs and therefore they prefer a high protein diet. They will eat meat scraps, roadkill, and other insects. They also love to feed on grease, oil, and butter. In the summer months, when the new generation of ants is hatched, a lot of food is needed to sustain them. Carbohydrates are the most common type of food ants eat at this time of the year so that they can have the energy they need to survive. Ants will also be attracted to sweets during this season, foraging for crumbs, spilled drinks, and garden produce. There are many different ways by which ants can enter a home and it won’t take long for you to realize this has happened when it does. Since ants travel in packs, once one enters your space, there will be plenty to follow. Like many other household pests, ants will enter your home using any gaps around doors, windows, or cracks in the building’s foundation. Additionally, ants can enter your home through openings that are present around plumbing or electrical outlets. Ants can also get inside of your house by catching a ride on your clothing or your belongings. Other common items ants will hitchhike on are things like potted plants, fresh cut flowers, produce, boxes from storage, or items that you have bought used. So how can you dissuade ants from choosing your home as their future residence? Continue reading below. What can you adjust inside of your home to prevent ants? Keep your house as clean as possible, especially in your kitchen. Ants are attracted to food sources whether they be big or small. If you have food sitting out, be sure that you keep it covered except for when you are serving it. This will prevent ants from trying to seek it out. Sweep your floors as often as you can. Again, the kitchen is the main room in your home where this will be necessary. Additionally, you should sweep your dining room after each meal to rid the floor of crumbs that otherwise might draw ants to them. Never leave dirty dishes in the sink. Make sure you wash them after each meal so that ants are not tempted to get ahold of the food residue left on your plates and silverware. Invest in a kitchen trash can that comes with a lid. Otherwise food waste and other trash in your bin might attract ants. Take your trash out every single day. Do not allow for moisture to accumulate on your countertops and other surfaces in your home as ants will look for water wherever they can find it. Keep all food stored in airtight containers rather than the boxes that you buy them in. Don’t leave your pets’ food out for ants to access. Feed your pets at the same time each day so that their food bowl remains empty the majority of the day. Seal off all entrances regardless of how big. If there are tiny gaps around your doors or windows, use caulk to seal them off in order to prevent ants from having an entrance to our home. What can you adjust outside of your home to prevent ants? Keep your outdoor trash bins as far from your house as you can without it being a complete inconvenience to you. If you see ant nests in your yard, you can get rid of them by pouring several gallons of boiling water into it. This will automatically kill nearly all of the ants within. If you have an outdoor eating area, be sure to get rid of any crumbs that may have been dropped while you were eating. Yes, even crumbs that are dropped outside can attract ants and lead them into your home once they finish eating the food they have located on your patio or deck.